• Soldiers of African and Caribbean descent who fought for the British Empire in the 19th century as part of the West India Regiments are the subject of a new display at the Museum of London Docklands. Fighting for Empire: From Slavery to Military Service in the West India Regiments focuses particularly on the story of Private Samuel Hodge, the first soldier of African-Caribbean descent to receive the Victoria Cross, Britain’s highest military honour. 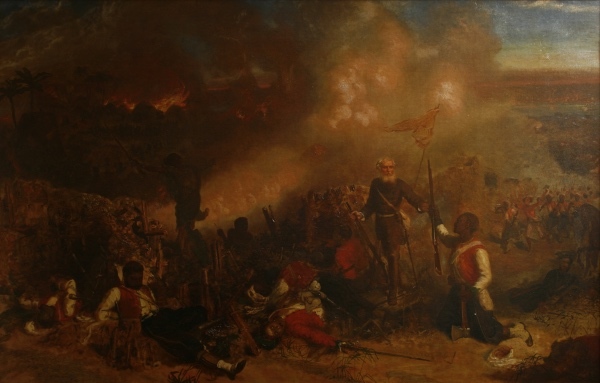 Central to the display in the museum’s ‘London, Sugar & Slavery’ gallery, is Louis William Desanges’ painting, The Capture of the Tubabakolong, Gambia 1866 (pictured above), which gives greater prevalence to the British commanding officer Colonel George D’Arcy than to Hodge and which was never displayed with Desanges’ other military paintings in the Victoria Cross Gallery at the Crystal Palace in the 1870s. The exhibition also includes prints, ephemera and maps. Runs until 9th September next year. Admission is free. Meanwhile, this weekend the museum is hosting a Maritime Music Festival celebrating the Docklands’ proud maritime heritage. The festival offers the opportunity to try your hand at a poetry rhyming session, learn knot tying skills and listen to sea shanty crews performing. The festival runs from noon to 4pm on Saturday and Sunday. Entry is free. For more, see www.museumoflondon.org.uk/docklands. • An English Heritage Blue Plaque has been unveiled at the former South Kensington home of artist Francis Bacon. Bacon moved to the converted Victorian coach house at 7 Reece Mews in 1961. He kept a studio on the first floor and lived at the property, described as “insanely eccentric”, until his death in 1992. Among significant works he completed there was his first large-scale triptych, Three Studies for a Crucifixion, in 1962 as well as portraits including his 1966 work Portrait of George Dyer Talking. Six years after Bacon’s death in 1992, his studio and its entire contents – including the walls, doors, floor and ceiling – were removed and recreated in The Hugh Lane Gallery in the city of his birth, Dublin. The property is today in the care of The Estate of Francis Bacon. Meanwhile, another Blue Plaque was unveiled this week, this time commemorating Sister Nivedita. She was one of the most influential female figures in India, an Indian independence campaigner and someone who helped introduce Hindu philosophies to a western audience. 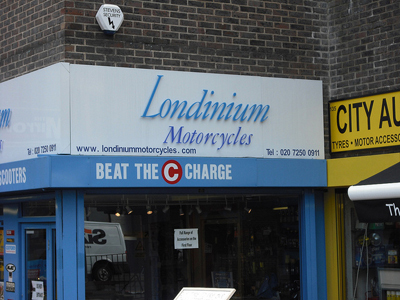 The plaque can be found at 21A High Street in Wimbledon, where Nivedita stayed with Swami Vivekananda in 1899. For more on Blue Plaques, see www.english-heritage.org.uk/visit/blue-plaques/. • The first UK exhibition dedicated to the works Finnish artist Akseli Gallen-Kallela has opened at The National Gallery. Lake Keitele: A Vision of Finland centres on the work titled Lake Keitele which, acquired by the gallery in 1999, is one of four versions, all of which have been reunited for the first time in the UK in this display. They are some of the dozen or so works in the exhibition which spans 30 years of Gallen-Kallela’s career. The free show, which can be seen in Room 1 until 4th February, marks the centenary of Finland’s independence. For more, see www.nationalgallery.org.uk. 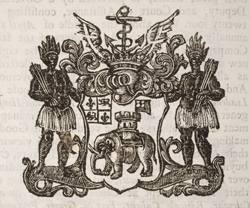 The Museum of London Docklands is currently running an exhibition exploring the history of the Royal African Company through the story of William Ansah Sessarakoo. But just who was this African ‘prince’ who came to London (albeit only briefly) and caused such a stir through Georgian society? Born around 1736, William Ansah Sessarakoo was the son of John Correntee, head of Annamaboe, the largest slave-trading port on Africa’s Gold Coast (now Ghana). Correntee had earlier sent one of his sons to France to be educated and the English traders, apparently worried at the close relationship Correntee had with the French, offered Correntee the chance for another of his sons to receive an English education. Correntee agreed and his son Ansah subsequently spent much of his time at Fort William, the English base in the region, learning English and their customs and culture. When offered the chance to send Ansah to England, Correntee again agreed and it was decided he would take ship aboard the Lady Carolina with Captain David Bruce Crichton. Crichton, however, soon betrayed his trust and instead of taking Ansah to England, sold him into slavery in Bridgetown, Barbados. Back in Africa, his family were led to believe he was dead. But, well known as he was among the Fante people, Ansah was “discovered” four years later by a Fante trader in Barbados. When news reached Correntee he petitioned the English to free him and honour the original deal to send him to England. Anxious to protect their trade, the English agreed and the Royal African Company, which traded along Africa’s west coast, liberated him and transported him to England. 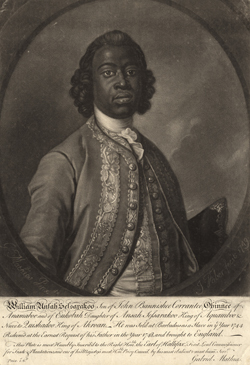 Upon his arrival in early 1749, he was presented as Prince William Ansah Sessarakoo or ‘The Royal African’. Staying as a guest in the Grosvenor Square home of George Montagu Dunk, the 2nd Earl of Halifax, he made numerous appearances in London society. Most notably, on 1st February, 1749, when he attended a showing of Thomas Southerne’s play Oroonoko which tells the story of an African prince sold into slavery by Europeans who then rebels and, after being forced to kill his wife, is himself executed. Sessarakoo was apparently so disturbed by the similarities between that story and his own, that he left the performance early. In 1750, Ansah returned home. Within a year of his return he had gained work as a writer at Cape Coast Castle, the seat of English power on the Gold Coast and, using his connections there and abroad, he helped his father in his trading with both the English and French. His relationship with the English soured, however, after a physical altercation with William Mutter, the governor of Cape Coast Castle, over a pay dispute involving watered-down whiskey. Ansah lived the rest of his life in relative obscurity back in Annamaboe and while there are records he did work as a slave trader during this period, little else is known. While no records exist, it is generally believed he probably died around 1770. Despite his ignoble end, one of the legacies of Ansah’s visit to London was to show the nobility of the African people – a line of thought which did contribute to the rise of the abolitionist movement in Britain. The Royal African display, featuring the story of William Ansah Sessarakoo, can be seen at the Museum of London Docklands until 4th June, 2017. Admission is free. For more, see www.museumoflondon.org.uk/museum-london-docklands/whats-on/exhibitions/royal-african. 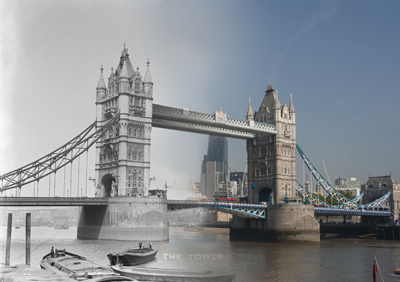 • The 25th annual Festival of Archaeology has kicked off across the UK this week and, of course, there’s events taking place across London. They include a walk exploring the moat at Fulham Palace this Sunday, the opportunity to join Inspector of Ancient Monuments Jane Siddell on a walk along the route of the former London wall in the City of London next Thursday, a tour of the remains of London’s Roman amphitheatre beneath Guildhall Yard on 28th July, and the chance to investigate ancient poo at the Museum of London Docklands over the week from 25th to 29th July. Some of the events are free to attend and require no booking; others charge an admission price and require advance booking. For all details, head to www.archaeologyfestival.org.uk. 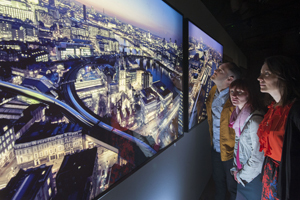 • Explore how colour and vision have shaped the natural world in a new exhibition which opens at the Natural History Museum in South Kensington tomorrow. Colour and Vision features more than 350 rarely seen specimens and uses immersive arts and digital imaging to highlight how colour and vision influence life on the planet, providing insights into how humans and animals perceive the world and how colour-shifters, stealth experts and mimics use colour to survive. They include specimens from the rarely-displayed national eye collection, some of nature’s finest examples of structural colour – including Jewel beetles and hummingbirds, cochineal insects which show how nature can be used to create pigments for dyes and paints, and some rose-ringed parrots, whose different colours reveal the visible impact of a mutation in their pigment genes. The exhibition also features a newly commissioned light installation – Our Spectral Vision – by artist Liz West which has been inspired by Sir Isaac Newton’s investigation of the colour spectrum and blue morphs butterflies. Runs to 6th November. Admission charges apply. 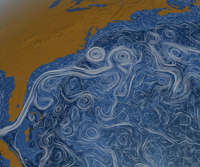 For more, see www.nhm.ac.uk. 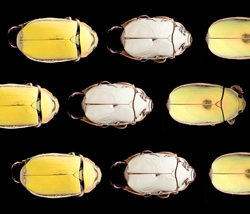 PICTURE: Giant jewel beetles/© Trustees of NHM. 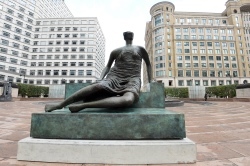 • The City of London Corporation’s Community Fair will be held on Sunday in Guildhall Yard, featuring entertainment, food stalls and activities for all ages. The free event will see the yard lined with market stalls run by local clubs, faith groups, learning providers and cultural partners who will be offering games and activities as well as information and handmade items for sale. Special guest broadcaster and author Charlie Dimmick will be giving planting workshops throughout the afternoon and will take part in a special Q&A session. Runs from noon to 4pm. For more details, see www.cityoflondon.gov.uk/communityfair. 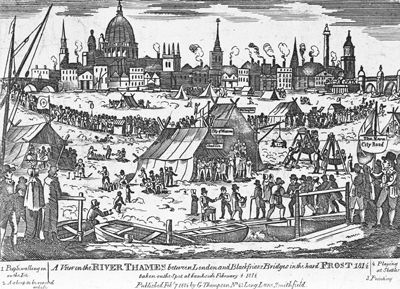 Held during particularly cold winters when the River Thames froze over, ‘frost fairs’ had been part of London’s history, from the Middle Ages up until the last one was held in February 1814, two hundred years ago last month. 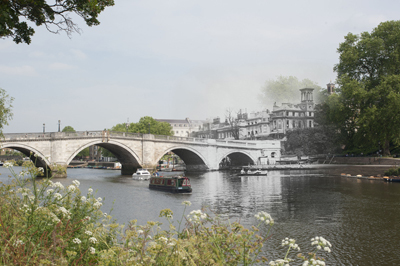 The five day revelry started on 1st February and took place on a stretch of the river between Blackfriars and London Bridge (it was the medieval London Bridge in particular – with its 19 arches and wide piers – which helped to slow the river enough to freeze, something unlikely to happen again with the current bridge). People began to venture out onto the ice and an impromptu fair started taking shape as tents and booths were established selling all manner of food including roast ox, drinks including alcohol like gin as well as hot chocolate, tea and coffee, and souvenirs to take advantage of the passing traffic (a piece of gingerbread from the fair is a star attraction at the Museum of London’s current exhibition on the fair – pictured right). Some of the tents were known by names (similar to a pub sign), such as the Moscow and the Wellington. Other attractions recorded include children’s play equipment, a gambling den, and printing presses which produced keepsakes to mark the occasion. There were even reports of sightings of an elephant crossing the river. Several people apparently died at the fair having sunk beneath the ice by the time the snow turned to rain and the ice began to break up. An engraving of the frost fairs by Richard Kindersley can be found on a pedestrian walkway underneath the Southwark end of Southwark Bridge. The dates for Frozen Thames: Frost Fair 1814 at the Museum of London have been extended until 21st April (there is an accompanying exhibition, Frozen Thames: Frost Fair 1684 running concurrently at the Museum of London Docklands). Admission is free. For more, see www.museumoflondon.org.uk. MAIN PICTURE: A view of the river Thames, 1814, George Thompson © Museum of London. 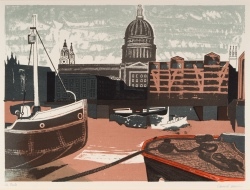 This print shows the 1814 Frost Fair from the south bank of the Thames, with St Paul’s in the background. 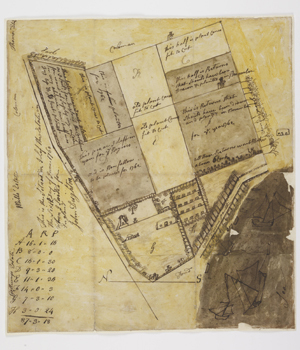 A map of the Romney plantation is among a selection of unseen documents from a West Indian sugar plantation on show as part of a new display, A Material Connection, which opened at the Museum of London Docklands in August. The documents are just some of the 1,000 letters, invoices and deeds dating from between the 1740s and 1860s which make up the Romney family plantation archive. It is the first time the public have a chance to see documents from the archive which was purchased by the museum in 2011 using an £85,000 grant from the Heritage Lottery Fund. 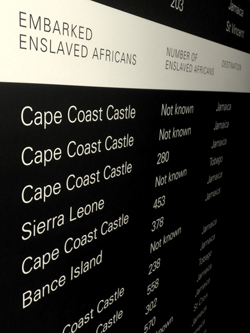 The display explores the role London played as a nexus between Britain and its slave colonies and in particular the relationship between a specific slave plantation and its owner. Opened on the International Day for the Remembrance of the Slave Trade and of its Abolition (23rd August), the display forms part of the London, Sugar & Slavery exhibition at the museum. 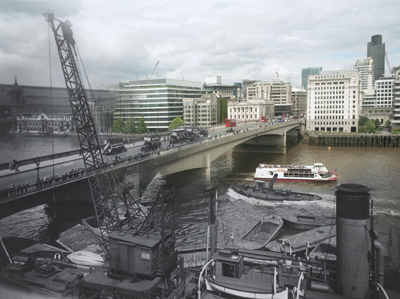 For more, check out the Museum of London Docklands. PICTURE: Museum of London Docklands. • A new exhibition opens at the V&A in South Kensington this Saturday which charts the development of cultural trade and diplomacy between Britain and Russia from the founding of the Muscovy Company in 1555 until the end of King Charles II’s reign in 1685. Treasures of the Royal Courts: Tudors, Stuarts and the Russian Tsars reveals the “majesty and pageantry” of the royal courts of both countries – from that of King Henry VIII to King Charles II in Britain and from that of Ivan the Terrible (Ivan IV) to the early Romanovs in Russia. The display features more than 150 objects including heraldry and processional armour, furnishings, clothing, jewellery and portraiture including paintings and miniatures painted by court artists. Highlights include a rarely viewed portrait of Queen Elizabeth I, the Barbor Jewel – a pendant set with an onyx cameo of the queen; a hand-colored map of ‘Muscovy’ dating from 1570, and literature including Shakespeare’s First Folio as well as a showcase of British and French silver given to the Tsars by British merchants and kept in the Kremlin. The 20 pieces include the Dolphin Basin, made by Christiaen van Vianen – said to be a favoured silversmith of King Charles I and II – in 1635. 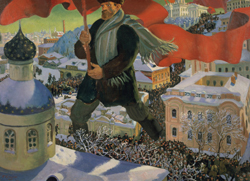 The exhibition marks the 400th anniversary of the Romanov dynasty. Admission charge applies. Runs from Saturday, 9th March, until 14th July. For more, see www.vam.ac.uk. 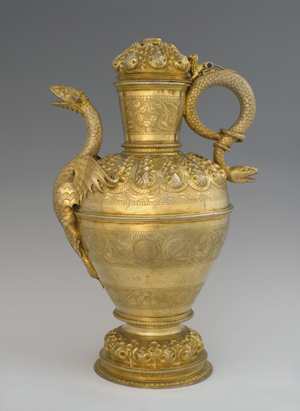 PICTURE: Water pot (1604-05), Historic collectino of the Armoury, © The Moscow Kremlin Museums. • The life and work of Sir Michael Caine – who turns 80 this month – is the focus of a new free exhibition at the Museum of London. Michael Caine, which opens tomorrow, features photographs including some never exhibited before as well as iconic portraits by the likes of David Bailey and Terry O’Neill as well as a selection of audio and film clips from movies such as Alfie, The Italian Job, Get Carter, Hannah and Her Sisters and Educating Rita. 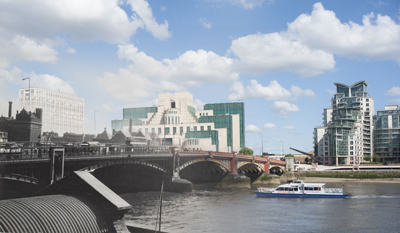 The exhibition follows Sir Michael’s life from “Cockney rebel, through to Hollywood legend and inspirational Londoner” and looks at how the city influenced his life and career. Runs until 14th July. To coincide with the exhibition, the Museum of London Docklands is running Caine on Screen, a selection of free films which can been voted for by the public (see our earlier post here). The schedule of films will be announced after 14th March. For voting details and more information, see www.museumoflondon.org.uk. • A bullet-pierced military tunic worn during the Indian Mutiny in the mid 19th century has been donated to the National Army Museum in Chelsea. The tunic, worn by Lieutenant Campbell Clark, of the 2nd Bengal European Fusiliers, at Cawnpore in 1857. The lieutenant was ambushed by rebels Indian infantry and shot at point-blank range. Despite being grievously wounded (the musket ball had passed through his stomach and remained in the wound), he survived the injury and the military hospital he was taken to and went on to have a long career, rising to the rank of colonel. He died in 1896 in Sussex. The tunic was donated to the museum by Clark’s great-great-nephew, John Gordon Clark. For more, see www.nam.ac.uk. • On Now: George Catlin: American Indian Portraits. Opening today, this exhibition at the National Portrait Gallery is the first major exhibition of the American artist’s works to be held in Europe since the 1840s and has been designed to demonstrate to the viewer how Catlin constructed a particular view of Native Americans in the minds of his audiences. Catlin made five trips into the western United States in the 1830s before the Native American peoples had been subsumed into the United States and, inspired by those trips, went on to create an Indian Gallery which featured 500 portraits, pictures and indigenous artefacts. He subsequently toured with the gallery in both the US and Europe. The exhibition is organised in collaboration with the Smithsonian American Art Museum in Washington. Runs until 23rd June. Admission charge applies. For more, see www.npg.org.uk. • Tens of thousands of people are expected to join London Mayor Boris Johnson for the annual Sky Ride this Sunday. The event, organised by the Mayor of London, Sky and British Cycling in partnership with Transport for London, allows people to cycle a 11.6 kilometre route through the city centre minus the usual car traffic. The circular route, which takes in Westminster Bridge, the Mall and Buckingham Palace, Trafalgar Square and Whitehall, will be vehicle-free between 9.30am and 4.30pm. Last year more than 85,000 took part. For more information, seewww.goskyride.com/london. • The Imperial War Museum is marking the 10th anniversary of the 9/11 attacks in the US with a new photographic exhibition showing artefacts recovered after the destruction of the World Trade Center in New York. Memory Remains, which opened on 26th August and runs until 26th February, is a photographic exploration of Hangar 17 – a previously empty hanger at John F. Kennedy Airport in New York where debris and material retrieved from the 16 acre World Trade Center site were stored. It features images taken by Spanish-American artist Francesc Torres, who was commissioned by the National September 11 Memorial & Museum to capture what was happening inside the hangar and granted special access to do so. 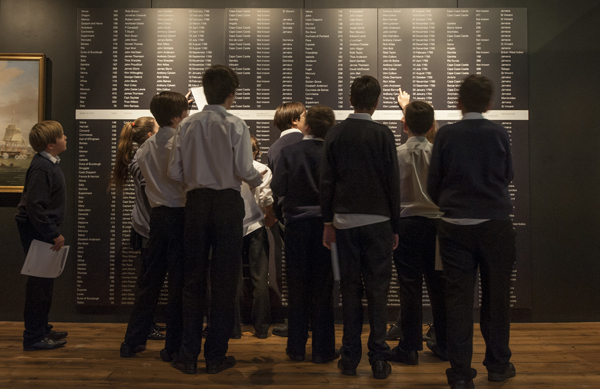 The exhibition is being accompanied by another at Imperial War Museum North in Manchester. In the Spotlight: Remembering 9/11, which runs from 10th September until September next year, features artefacts from the World Trade Center including a British flag which was laid on the altar in St Paul’s Cathedral on the first anniversary of the attacks. Admission to both exhibitions is free. For more information, see www.iwm.org.uk. • South Bank hosts the Liberty festival, an annual showcase by deaf and disabled artists, this Saturday. The festival, which will take place at two sites – the Southbank Centre and the National Theatre, will feature a mix of music, dance, street theatre, comedy, circus performances and aerial displays. Highlights include Mark Smith’s Deaf Men Dancing, performance artist Bobby Baker, Jean-Marie Akkerman’s Cirque Nova featuring four disabled aerial artists, and Kazzum, who produce theatrical work for children up to 16-years-old. The event is free. For more information, see www.london.gov.uk/liberty. 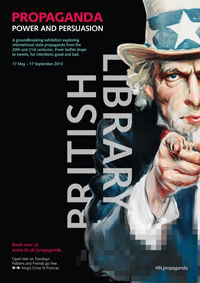 • The British Library and BiblioLabs have launched a new 19th century historical collection app for iPad users. 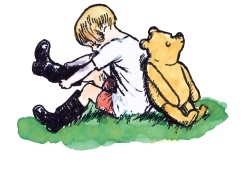 The app (which costs £1.99 a month or $US2.99 for those outside the UK and is available through Apple’s App Store) allows users to explore historical and antiquarian books including classic novels, original accounts by Victorian travellers, books on science and poetry, memoirs and military histories. Around 45,000 titles are initially available with a further 15,000 to be added by the end of the year. • On Now: Freedom from: modern slavery in the capital. 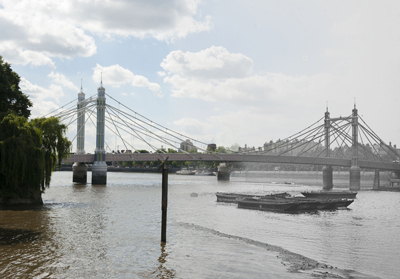 A new exhibition looking at the reality of trafficking and forced labour has opened at the Museum of London and the Museum of London Docklands – the museum first cross-site exhibition. Created in partnership with Anti-Slavery International and coinciding with the launch of its Slavery-Free London campaign, the exhibition looks at the personal impact of human trafficking and slavery in 21st century London and includes personal testimonies such as that of ‘Gheeta’ who was trafficked from India and forced into work. 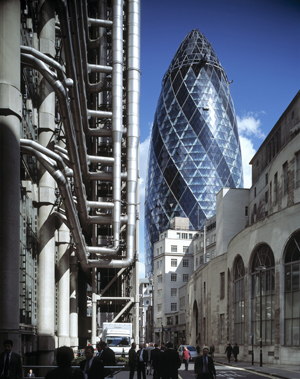 It also features a series of large scale photographs by Chris Steele-Perkins of Magnum Photos. Runs until 20th November. Admission is free. For more information, see www.museumoflondon.org.uk.